"A fantastical tale with a powerful message" raves SPR. 12-year-old Jake has been suppressing his heartbreak over the loss of his mother for the past four years. But his emotions have a way of haunting his dreams and bubbling to the surface when he least expects it. When Jake learns how to take control in his dreams, he becomes a lucid dreamer, and that's when the battle really heats up. Described as a "poignant coming-of-age novel (that) offers a sensitive and honest examination of a child's spiritual and emotional battles" by The BookLife Prize. After graduating from Wesleyan University, David J. Naiman obtained his medical degree at New York University School of Medicine and trained in the primary care internal medicine program at Johns Hopkins Bayview Medical Center. Writing nights and weekends, he published the award-winning #1 Amazon bestselling novel Didn't Get Frazzled, a work of humorous medical fiction for adults, under the pen name David Z Hirsch. From there, David turned to children's literature to pursue the themes of family, friendship and the magic of childhood that continue to inspire him. 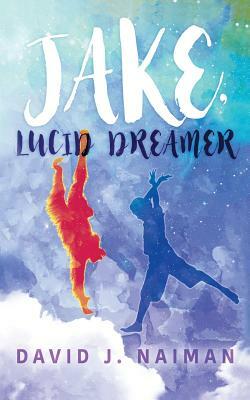 Jake, Lucid Dreamer is his first middle grade novel. When he's not writing, David toils in the front lines of primary care, battling scourges like diabetes, heart disease, and insurance companies, although probably not in that order. He lives in Maryland with his wife and two sons. Visit his website at www.davidjnaiman.com.